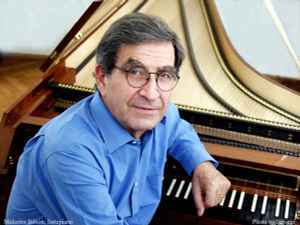 Malcolm Bilson (born October 24, 1935) is an American pianist specializing in performance on the fortepiano, which is the 18th century version of the piano. Bilson teaches at Cornell University in Ithaca, N.Y., where he is the Frederick J. Whiton Professor of Music. Malcolm Bilson began his pioneering activity in the early 1970s as a performer of Haydn, Mozart, Beethoven, and Schubert on late 18th- and early 19th-century pianos. Since then he has proven to be a key contributor to the restoration of the fortepiano to the concert stage.